GoPro HERO3 / HERO3+ is ultra compact and high quality video camera capturing dominant market share in wearable camera segment thanks to wide range of accessories and handy video editing application GoPro Studio in addition to camera’s performance. However, when we bring GoPro camera underwater, angle of view narrows down dramatically due to different refraction ratio and subjects in close range (within approx. 60cm/2ft) are out of focus since GoPro camera is a deep focus camera (fixed focal length) which prevents it from using for macro imaging. So INON have been studying, developing and finally released dedicated accessories including a semi-fisheye wet lens to deliver nearly same angle of view as on land, a wide close-up wet lens to deliver deep depth of field by slightly increasing angle of view and cage to hold these lenses and arm products. These newly released products are designed to use mainly for GoPro cameras with enormously minimized body size to achieve unparalleled portability well beyond conventional camera system. Also GoPro camera is a deep focus camera thus users do not have to struggle on focusing through dive mask underwater but concentrate on composition for unique shooting style. Everyone can enjoy to edit their contents by GoPro Studio without any special technique. Measured maximum angle of view of GoPro HERO3/HERO3+ Black Edition is approx. 151° (*1) on land which will narrow down to approx. 94° (*1) when we put the camera in genuine dive housing and bring it underwater due to different refraction index. 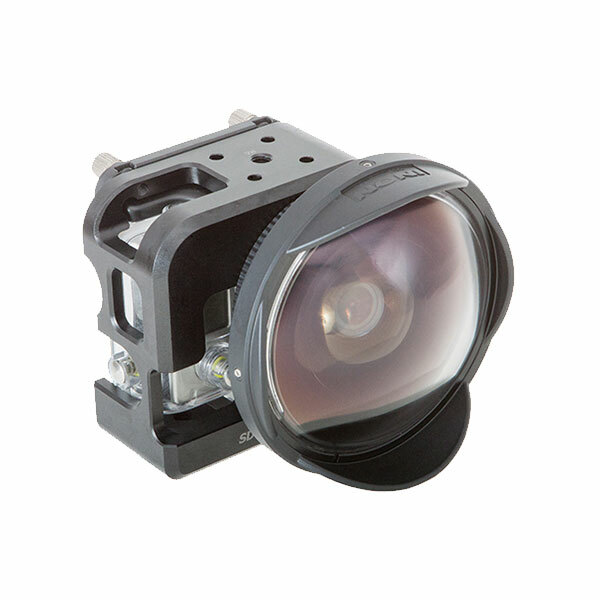 The INON UFL-G140 SD provides ultra wide semi-fisheye imaging with angle of view 140° underwater enabling wild underwater video work as like using the camera on land. Bayonet INON SD Mount compatible to support friendly and speedy lens exchange underwater. Optics is constructed of 4 elements in 4 groups. Rear element is made from high refractive index glass lens to minimize whole size dramatically without sacrificing performance. 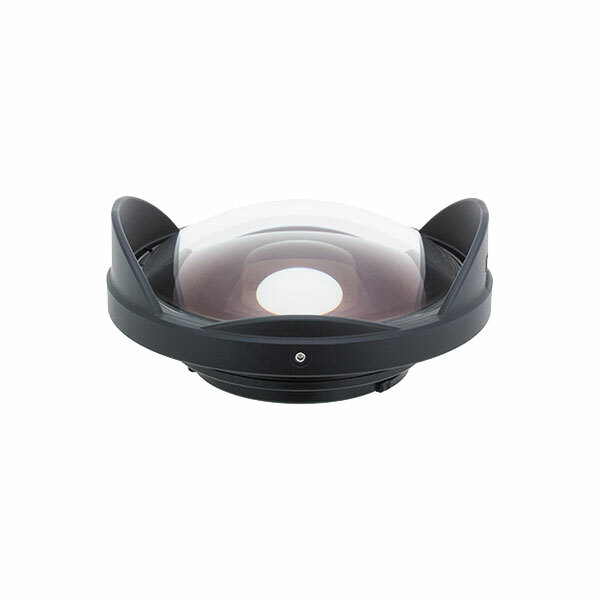 The inner surface of the front acrylic dome has 5 layers multi-coating to deliver quality footage as like a glass dome at budget price. Measured from the forefront of the lens as rated DoF data of GoPro HERO series is not available preventing to calculate theoretical DoF of this lens. Measured distance underwater for GoPro HERO3/HERO3+ Black Edition. Divide by 1.33 for visual distance underwater. Other Edition has not been tested. Actual angle of view (actual field of view) varies among different shooting modes. Materials Corrosion resistant aluminum alloy / Rigid black alumite, Polycarbonate etc.